Going tiny and being sustainable is easier than you think. Tiny living is all about having a smaller carbon food print and being eco-friendly. Have a green thumb and itching to use it? 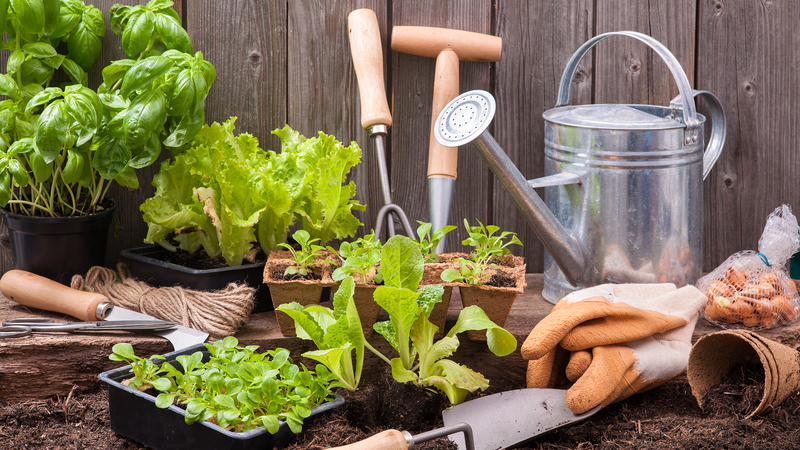 Gardening just might be your answer. Not only does it provide you with fresh ingredients to cook with, it saves you money which can be saved on a rainy day or be put towards an amazing travel trip to Europe. Interested on ways to be sustainable? Going tiny requires sacrifice. With a smaller space comes less cleaning (bonus) but also less storage for clothes, less living space for furniture, etc. But some amazing upsides to going tiny include smaller utility bills and lower cost of living (overall). An exciting part of going tiny is focusing on what is important and getting rid of things that are not. Besides focusing on the type of lifestyle tiny living allows it is also important to focus on the practicality. Buying new decor and furniture can be expensive. Other life style changes that is encouraged when going tiny include access to fresh herbs and vegetables which allows for more cooking to be done at home. Here are some quick and easy thrifty tips to stay under budget when living tiny!